So I was going through my art supplies trying to figure out what to do today and I found some old stencils and thought hmmm.. what can I do. 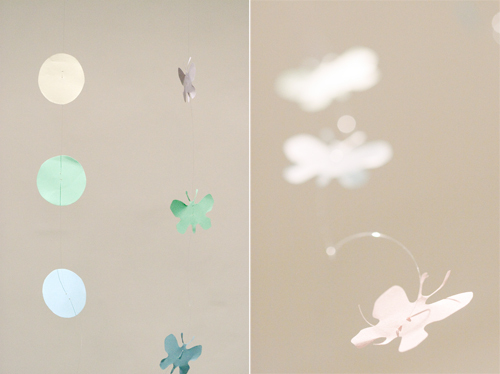 I found a cute butterfly and just started cutting them out of different coloured paper and then decided to make a kind of mobile out of them. 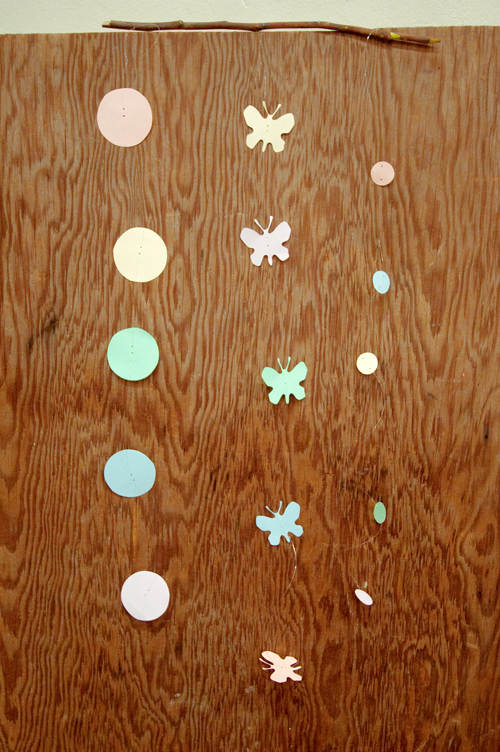 Would be cute for a baby's room. I would probably do more, but seeing as it's 2:30am I just did minimal. And this project turned out to be really hard to take photos of at night! I might try and take some nicer ones in the morning, but for now here's a few.